Guinea pig hay rack is one of the most important accessories that you should buy for your rodent. 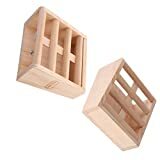 Safe guinea hay rack comes in varied styles, shapes, and sizes; so you can always find one that fits your guinea pig to a cinch. However, that task will require you to spend a lot of time and efforts. Fortunately, We have already researched the market to find out the best guinea pig hay racks out there. You can make your own guinea pig hay rack, or scroll through our collection for a good hay dispenser that can be delivered to your doorstep. 1 How Necessary is a Hay Rack for a Guinea Pig? 2 How to Make Homemade Guinea Pig Hay Rack? 2.1 How to make a guinea pig hay rack? 4 Which Hay Rack Does Your Guinea Pig Need? 5 How to Choose a Good Rodent Hay Feeder? 10.1 1. Will I need to replace my guinea pig’s hay rack? 10.2 2. Why won’t my guinea pigs eat from the hay rack? 10.3 3. How to use guinea pig hay rack? 10.4 4. Do I really need to buy a hay rack? How Necessary is a Hay Rack for a Guinea Pig? Guinea pigs need hay to live well. A hay rack is ideal for separating feeding hay from bedding hay. That way, your rodent won’t be eating soiled hay. If your pet is a playful cutie, then it can even use the ray hack to entertain itself. The strands pulling game is the favorite past time activity for many rodents. There are some owners who just throw the hay into the guinea pig’s cage. However, that way the hay will get scattered around. Another option that can save your money and keep the pet healthy is to use a hay rack for guinea pigs. These racks are special because they are open on the sides. With such a design, it allows your rodent to access to the edible hay. **Extra benefit: if the rack is placed higher than the floor level, it will prompt the guinea pig to do some exercise to obtain its food. The hay in the racks stays clean, while the hay on the floor gets contaminated. Most guinea pigs have the ability to distinguish between clean, edible hay and soiled hay that should not be eaten. If you let all the hay scattered around all the floor; every time you clean the cage, you will need to replace that hay. This routine will get expensive with time. Especially if you use premium hay in place of hay in bales. When feeding premium hay to cavies, make sure that you use a hay rack to minimize waste. How to Make Homemade Guinea Pig Hay Rack? In case you don’t want to buy a hay rack and prefer to make a guinea pig hay rack DIY, we also have a simple guide here. People who can do crafts prefer to make a wooden guinea pig hay rack. However, this requires you to know how to use a drill and have plywood ready. If you don’t want to make a wooden rack, then we can also improvise with some pieces of cloth! By far, this is the most economical and easiest way to give hay to your guinea pigs. You only need about 15 20 minutes to make this hay feeder. How to make a guinea pig hay rack? A rectangular piece of cloth. Fabric glue (or needles and threads). A sheet of hard cardboard. From any thrown-away piece of cloth or clothes, cut out a rectangular piece of fabric. An ideal proportion is 2:1, but you can cut it however you see fit. Lay the cloth piece horizontally on a flat space. Cut out two 3-inch holes on the right half of the fabric. Make sure that the two holes are approximately 2 inches apart from each other, and are on a vertical line. These holes will be the place where the hay come out. Fold the cloth in half so that the two holes overlap. Glue the side edges down, but leave the top so you will have space to add the hay in. You can use fabric glue, hot glue or thread, and needles to sew it. *Note: At this point, the wrong side of the fabric is facing up. Once the glue is already dry, flip the pouch inside out. At this point, the right side is facing up. If you use fabric glue, it will take about 15 20 minutes for the glue to dry. If you sew the pouch, then you can flip it right away. Cut the sheet of hard cardboard so that it fits into the pouch. This step is to ensure that our hay feeder will remain sturdy. Cut two small holes through both the fabric and the cardboard sheets. Make sure that you cut in the opposite side to the two bigger holes previously. Attach the hooks to these holes. Even more simply, we can repurpose shopping bags, cardboard boxes or straw baskets! There are a few reasons why buying hay feeders for your rodent is a good idea. First off, it cage ensures that your rodent eats away from the waste and urine that he produces. Although most cavies are capable of ruling the fresh hay out from the soiled ones, there always stands a chance that he eats the contaminated hay by mistake. Over time, it will get problematic in his digestive tracks and overall health. Secondly, a hay rack mounted on the cage cuts down on the waste and mess. Among the things that we give to our guinea pigs, hay is one of the messiest. In fact, a hay rack won’t keep the hay in the cage entirely, but it does help to keep them where they are supposed to be. The case is even truer for those who prefer to feed their rodents with high-quality hay. When you rodent only eats from the hay feeder, you won’t have to replenish the supply so much. All in all, it helps to cut down on guinea pig expenses. Thirdly, a rack filled with hay entices the pet to eat more hay. It is a good way to provide more greens for your pet. Always munching on the good stuff, your guinea pig will have a smoother digestive system and have fewer problems associating with the foods they eat. Good hay is a major source of fiber, as well as other vital nutrients and vitamins for your pet. You will be delighted at the sight of sleek, healthy rodents! Fourthly, guinea pigs are animals that are gifted with an incredible amount of energy. If you don’t give them hay to munch on properly, they will direct the excessive energy into naughty deeds, such as destroying the accessories inside the pen or try to escape outside. All in all, having a guinea pig hay feeder will keep your pet healthier by enticing to eat more hay. It can also save you from the frustration of replacing new hay all the time. A hay feeder also keeps your guinea pig’s living environment cleaner. Which Hay Rack Does Your Guinea Pig Need? There are a variety of hay racks for rodents on the market, which you should know before settling on one. Hay or dried grass tend to get all tangled up when putting into a place. 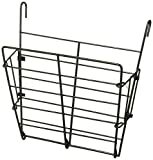 A metal hay rack for guinea pigs is a good option to keep the hay clean and neat. Compared to other types of hay rack, a metal one is more affordable. It also allows the rodent to pull out one strand at a time, and keep the rest of the hay pile in place. Because wood hay racks are cheaper than metal hay racks, you can find these types more commonly in households that prefer to D.I.Y their pets supply. 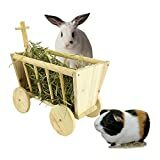 Generally, a lot of people appreciate the farm-like atmosphere that these wooden hay racks bring to their pet’s house. However, no matter how strong a wood hay rack is, it is not indestructible. So if you want to buy a wooden guinea pig hay rack, keep an eye on your rodent or he’ll chew on the rack instead of the hay! If you have more than one guinea pig inside your pen, then having a big hay rack installed will be more beneficial for your convenience. You won’t need to replenish the supply more than once every other day. With that said, before purchasing a big hay rack, you should take measurements of the pen to make sure that the two fit each other well. Make some precautions you should take while installing the hay rack on the guinea pig’s pen. If you use a metal hay rack, make sure that there is no space between the rack and the cage, so that your rodent won’t get his head stuck inside. Guinea pigs are very curious animals, so they are highly prone to accidents. 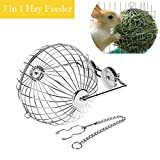 How to Choose a Good Rodent Hay Feeder? 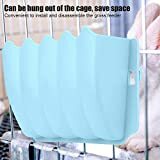 The guinea pigs accessories must be durable because small rodents tend to play around and munch on anything that fits their mouths. Hay racks are no exception. Even when you mount the rack higher than the ground, the animal will constantly try to find a way to nibble on the rack. Therefore, choose metal as the material for your hay rack will make sure that it lasts longer than natural or recycled woods. Metal hay racks are also more stable, and 100% safe for your guinea pigs. The rodents are less likely to nibble on the metal bars. Even if they do, the racks won’t break easily. The purpose of a hay rack is that your rodent will only be able to pull out 1 2 strands of hay at a time so that there will be no waste. If the rack gaps are too big, the strands will poke out, which allows your guinea pigs to pull more than 2 strands at a time. It totally defeats the purpose. Therefore, make sure that the hay feeder you choose is designed to limit the number of hay strands that come out at one time. This is important because once the hay is contaminated, your guinea will refuse to eat it. A good design rack will reduce the amount of hay you have to throw away. You will be surprised to find out that a guinea pig can munch on a high volume of hay every day. An active rodent needs up to 90 percent of his body size of hay to eat and to play around with. Therefore, if your hay rack can’t hold enough hay for your pet to eat, the hay will run out during the day. It will leave your pet frustrated, making it more prone to mischief. With that said, the hay rack should not be too big or it won’t fit the pen. Now that we’ve known why your pet needs a good hay rack, and what makes a hay holder stand out from the rest, let’s scroll out the hottest picks for hayracks on the market right now. Guinea pig hay food dispenser, you can attach this rack to any cage within seconds. Moreover, this dispenser keeps the hay dry for healthy eating. Is able to attach conveniently to any kind of cage. 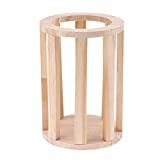 Another option from the Kaytee brand is this free-standing hay rack. It makes sure that the animal always has a clean living space with the bottom catch tray, that will keep any fallings inside the rack. Size: Length x Width x Height: 4.1 x 7.9 x 5.9 inch. Appropriate size keeps a good helping of hay. The top proportion is made of chew-resisting metal. This hay rack packs functionality and fun into one outstanding design. 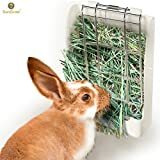 The spheric hay feeder prompts your pet to eat more hay, while gives it a toy to play around with. Size: 4 x 4 x 8 1/2 inch (Width x Depth x Height). Made of wire, and can attach to any cage. This hay feeder has a classic, conventional design. It can attach easily to any type of guinea pig pen. The feeder provides your pet with a safer eating environment. Size: Length x Width x Height: 8.4 x 7.9 x 0.8 inch. Sometimes, the most simple hay feeder is the one that your pet needs. 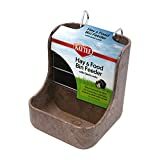 This grass holder from Zafina-UP conveniently keeps the hay from falling all over the place, while giving your pet the feed of hay anytime it wants. Size: 9.84 x 6.18 x 2.7 inch. Spacious container to keep a high volume of hay. Can be hung outside of the cage to save space. The UEETEK hay feeder comes in one of the most appreciated shapes of hay dispenser, which is the spherical ball. It can be hung on, rolled around or fixed up as you want. Any way you put the hay rack, your guinea pigs will rejoice with the 2-in-1 toy without exception. Size: 3.1 x 3.1 x 3.1 inch ( Length x Width x Height). Comes with iron hanging hooks so your pet can play with it and relieve stress. This is a handmade product, which means that your pet cage will be decorated with an exquisite touch. The materials are high-quality and fragrant dried pine. The hay feeder from Kiln comes with all hardware and can be put right into your pet’s cage. Size: Length x Width x Height: 9 x 10 x 3. This product from Mkono is a standing hay feeder. It is not only good for guinea pigs but also for chinchillas, rabbits and other small pets. The brand Mkono promises to deliver convenience for you and enjoyment for your pet. You can use this hay feeder to feed the rodent with alfalfa, hay or other types of grasses. Size: length x width x height: 5 1/2 inch x 3 1/2 inch x 7 3/8 inch. Large hay container can keep a generous amount of hay at a time. Made from high-quality metal and plastic, durable, long-lasting and non-toxic. The edges are made of steel, so it won't break even if your rodents use their strong teeth on it. This is a deal that gives you two pieces of guinea pig hay racks for one order. The manufacturer offers you 100% high-quality hay feeders at a fairly reasonable price. The hay rack is multi-purpose, as it can also contain food to supply to your pet. Size: Length x Width x Height: 6.1 x 3.15 x 5.91 inch. You can install it easily on any cage. Helps create a clean, hygienic living space for small animals. Also suitable for hamsters, rabbits, gerbils or rats. Do you know? this the best way to cut your guinea pig nails without harming it. More than just a hay rack, this product from ASYY turns your pet living space into a luxurious playground. The hay dispenser poses as a spherical playing ball. It can also attach to any cage with a screw. Can be fixed, rolled or adjusted as needed. Suspension design, prevent hay wasting by guinea pigs. 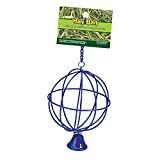 Another interesting shape choice for guinea pigs hay feeder, this rack from ASYY is designed as a ball. 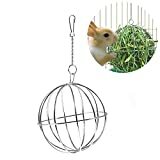 The idea is to hang the wired ball up from the top of your pet cage, allowing the pet to access to hay from inside its hut. This sphere serves both as a hay dispenser and a play ball toy. Made of high-quality stainless steel. You won't have to worry about it rusting or corrosion. You can adjust it as easily as needed. The rodent can even play with it on the ground, and the grass or hay still wouldn't fall all over the place. Comes with iron hooks for you to hang it up the cage. In this list, we’ve already had a cylinder, spherical and conventional hay feeder. 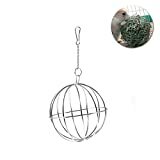 That is not the end of the excitement, because we now present you with a grass nest holder type for the pet. 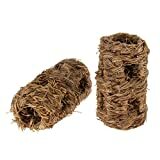 These two nest holders come in one bundle, which pose as a play toy and a grass holder at the same time. Not so much a rack, but it can keep the floor clean and the grass fresh nonetheless. Size: Height x Diameter: 6.69 x 3.74 inch. Ideal for small animal living space. Protect food well against contamination. You just need to put the hay inside, and your pet will have a great time play around with the hay roll. It is as fun and calm-inducing. This hay feeder from B Blesiya stands out from the rest with its form. The hay rack is designed in a vertical pole stick shape. Not only does it keep the grass and hay clean, but the rack also poses as a great decoration for your rodent’s hut. Size: Diameter x Length: 9.06 x 11.42 inch. It is highly space-saving and doubles as a decoration inside the hut. You can put grass and food inside at the same time to save space. The plastic and wood hay feeder from Kaytee is the most popular option on the market right now. This popularity is a given, for its high quality and good functionality. The hay rack is simplistic, yet can do its job just right. Made of a composition of plastic and wood. Has a Quick Lock feature that helps to secure hay in place. Can keep a generous volume of hay in its bin-style feeder. In our opinion, this hay rack is the cutest on our list. The stroller design makes the guinea pigs look like they are having a good time inside their pen. The rack is also made of real wood, so you wouldn’t have to worry about your pets get toxic. Size: Length x Width x Height: 11.4 x 7.48 x 8.27 inch. Made of 100% harmless, chewable cedar wood. This hay feeder comes in the form of a cage, or a cylinder bowl. It is meant to be put on the floor, inside the pet’s cage. However, we recommend that you secure this hay feeder right outside the cage so that your rodent won’t shove against and stumble it. Can be used to keep hay or grass. It is dual-use, which means that you can put grass or food inside to save pen floor space. Protects food well against droppings and urine, making the living environment cleaner for your guinea pigs. Size: Length x Width x Height: 16.5x15x18 cm. Has a stylish appearance, enhance the liveliness of your pet cage. Is able to keep a huge amount of hay and food, keep your pet feedings more organized. Aid to reduce hay waste. The design of YOTHG hay feeder for rodents is much like the previous one from Wildgirl. However, the newcomer brand offers us a deal at only a fraction of the price. 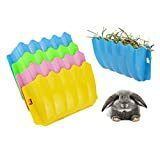 With that said, we can’t choose the color for our pet’s hay feeder, because the seller would send any random color in blue, green, pink and yellow. Size: Length x Height x Width: 24 x 16 x 5 cm. Made of eco-friendly PP materials, non-toxic. It is a bin-style feeder, which keeps your pet hay clean and organized. The GloGlow Hay Feeder is easily the most affordable choice on our list. However, the manufacturer doesn’t cut short on the functionality or durability of these pet accessories. 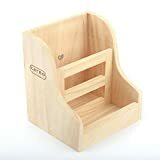 It is made of high-quality materials, so you can expect that your pet can feed on this hay rack safely, for a long time. You can choose one in three color options: blue, pink or green. 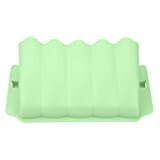 Yet another hay feeder comes from Wildgirl, this hay rack is made of BPA-free plastic, therefore would pose no harm to your beloved pet. In fact, the hay feeder is designed to help your guinea pigs to have fresh hay every time. Size: Length x Width x Height: 25 x 15 x 7 cm. Has quick locks that allow you to hang it directly on most wire cages. Comes in four different colors: pink, green, blue and yellow. Made from PP Plastic, non-toxic and won't harm your guinea pigs. 1. Will I need to replace my guinea pig’s hay rack? The answer is no if you buy hay racks made from sturdy, strong materials like metals or stainless steel. A good metal hay feeder should last you a lifetime. 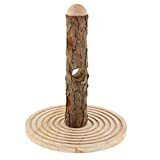 However, feeders made from woods, natural or recycled, cannot stand the rodents’ bites and chews as well, therefore they may get defective after a while. Once the rack breaks a piece off or two, it won’t be able to keep the hay neat, so you’ll need to replace your cavy’s hay rack. 2. Why won’t my guinea pigs eat from the hay rack? Guinea pigs love hay, without exception. Therefore, if your rodent refuses eating hay from a hay feeder, the problem must lie with the rack or with the hay. Firstly, check if the hay is clean and not contaminated because your guinea pigs can sniff problems out with their hay better than you do. If soiled hay is the reason, you will have to replace the whole hay rack with fresh hay. Any guinea pig owner should practice replenish the hay supply every day, or at least every other day. Secondly, see to it if the feeder is mounted much higher than your rodent’s reach. A hay rack is supposed to be mounted high enough so that the pet has to reach up every time it wants a strand. However, if the rack is too high, the guinea pig won’t be able to pick up a strand when it wants. Time after time, your cavy will be let off and refuse to pick strands from the feeder altogether. If this is the situation, then you can try mounting the hay rack a little bit lower. Make sure to test if your cavy is able to reach up to the rack before securing the rack to the pen. 3. How to use guinea pig hay rack? Hay racks for guinea pigs are pretty straightforward to use. If you buy commercial hay racks, then you only need to hang it inside the pet cage. Hanging the hay rack higher than the ground will keep the hay protected from droppings and urine. Remember to change the hay supplies every day or every other day. 4. Do I really need to buy a hay rack? Compared to guinea pig food bowls or water bottles, hay racks are not as necessary. In fact, if you don’t give your guinea pig more hay than it eats at one time, then it’s not required to have a hay rack. On the other hand, if you use hay as your rodent’s bedding, then it’s better to buy a hay rack. The rack prevents the hay from being soiled by droppings and urine. It makes sure that your guinea pig’s daily hay is fresh. Rodents hay racks mount on the outside of their cages, and the cavies pull the hay into the cage to nibble on. A good guinea pig hay rack is not only a container for your cavy’s hay. It will also be an enrichment to the pet’s life, giving it a constant amount of healthy greens to munch on, and a small game for it to play. Guinea pigs are very unique, and one hay feeder that fits one may not work for the other. So, don’t give up finding the best hay rack for your guinea pig. It will thank you! 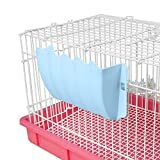 Guinea pig hay rack is one of the most important accessories that you should buy for your rodent. 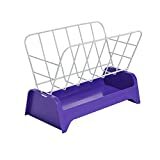 Safe guinea hay rack comes in varied styles, shapes, and sizes; so you can always find one that fits your guinea pig to a cinch. However, that task will require you to spend a lot of time and efforts. Fortunately, We have already researched the market to find out the best guinea pig hay racks out there.